I’m working with Vessel Digital Marketing and Trevor Arilotta, the company’s CEO and founder. They have taken our web site and internet presence to a much higher level, one I envisioned and hoped for when we started the project last June. Most importantly, they have demonstrated the necessary skills, talents and professionalism that have gained my trust and willingness to expand the scope of our projects with them going forward as our companies grow. I’ve also observed, enjoyed and benefitted from Trevor’s initiative, enthusiasm, creativity, willingness to listen, and his leadership skills with my in-house social media team. Their pricing is fair with multiple options to meet any budget. I highly recommend Vessel Digital Marketing! 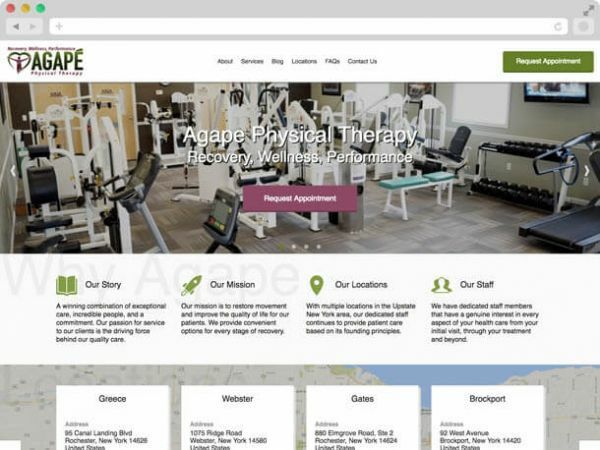 Agape Physical Therapy is one of the top physical therapy companies in upstate NY, but their website did not reflect that. We spent countless hours researching their industry, their competitors, and most importantly - them. We then designed and built a custom site to perfectly mirror their brand so all of their patients have a seemless transition from first website visit to first clinic visit. 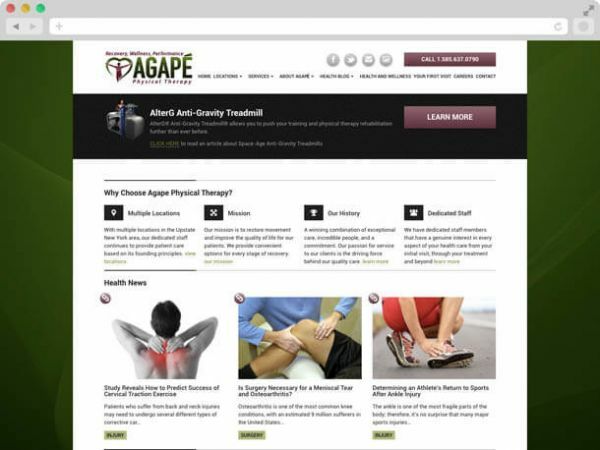 For current patients we built an entire custom medical library complete with injury descriptions, treatments, goals, and additional resources to help the patients understand their injuries and their physical therapy process. Also, as with all of our sites, their website not only looks beautiful on desktops, it looks beautiful and functions amazingly on mobile devices as well. All of this is powered by our easy to use CMS so they remain in control.